January 29th is National Puzzle Day and according to a recent study from Ravensburger, puzzling is a growing national pastime. In fact, 1 in 2 Americans puzzle for fun, to relax or to relieve stress. 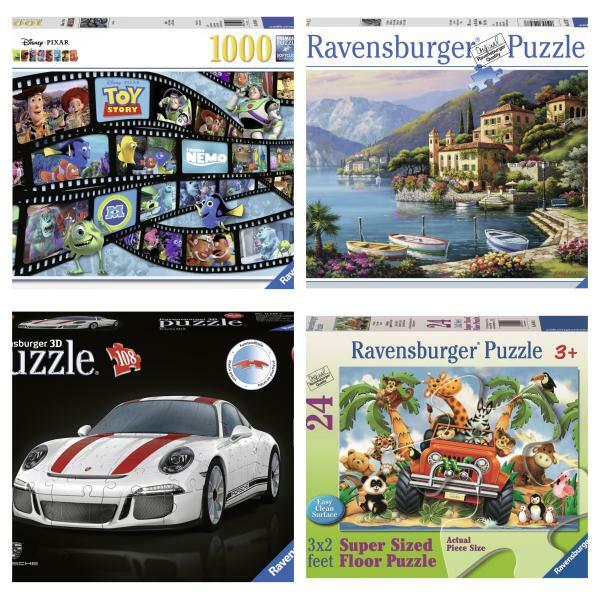 Ravensburger is the world’s leading puzzle manufacturer, offering unique jigsaw options for every age and every skill level. The beautifully designed, high-quality puzzles feature classic images, fantastical and captivating scenery, pop-culture and character favorites and deliver hours of unplugged activity. Ravensburger also believes in innovating the puzzle experience, whether its building upwards with 3D puzzles or building big with 40,000+ piece puzzles.